Gallery walls are nothing new in the world of interior design, and I can't deny my love for a perfectly imperfect arrangement. It takes an understanding of asymmetry and the ability to control OCD tendencies to pull off a successful gallery wall (or at least in my case, this is what it takes). Our house is slowly transforming into the home we've always envisioned, and putting art on the walls really makes it feel permanent. I've gone through many phases of acquiring art, from purchasing generic paintings from Marshall's and TJ Maxx to fill a temporary void, to purchasing art from people I know and/or admire from afar. 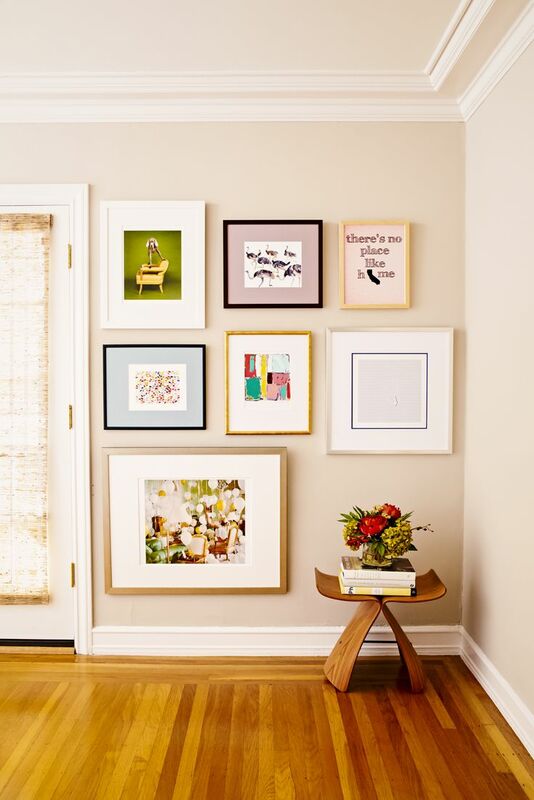 Have you had success building your own gallery wall? I've found so many helpful tutorials online, but the best advice I've seen is to tape pieces of paper to your wall that are sized to the dimensions of your artwork. From there, you can easily move the paper around to create the best arrangement for your wall. I'll post any updates as we build our own gallery wall!